In this lesson we will realize the function of eight of flowing water light, from left to right, each only light one LED,reciprocating cycle. Why do I empty 0 and 1 and two interfaces? These two interfaces actually use as the board’s serial ports, TX and Rx, that is to say, if you connect led on these two interfaces, you can’t download the normal program. So, generally we will empty out, if must use the case, you need to download a good program first, and then connect the circuit. You cannot directly connect an LED to a battery or voltage source. Firstly, because the LED has a positive and a negative lead and will not light if they are the wrong way around and secondly, an LED must be used with a resistor to limit or ‘choke’ the amount of current flowing through the LED – otherwise the LED could burn out! In this lesson, we will conduct a simple yet interesting experiment-using LEDS to create flowing LEDights. As the name suggests, these eight LEDS in a row successively light up and dim one afteranother, iust like flowing water. 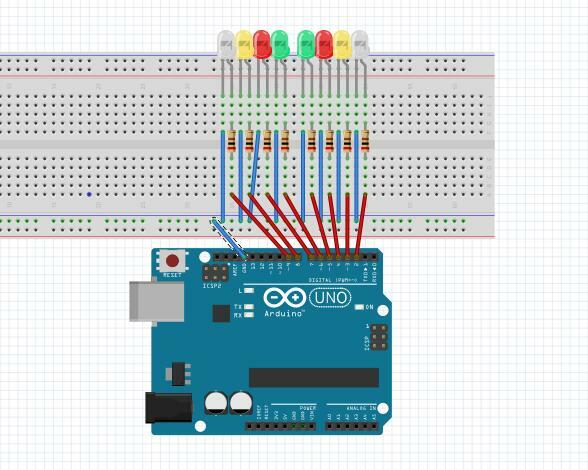 If you have connected the wiring diagram, connect the Arduino Uno board to your computer using the USB cable. The green power LED (labelled PWR) should go on. 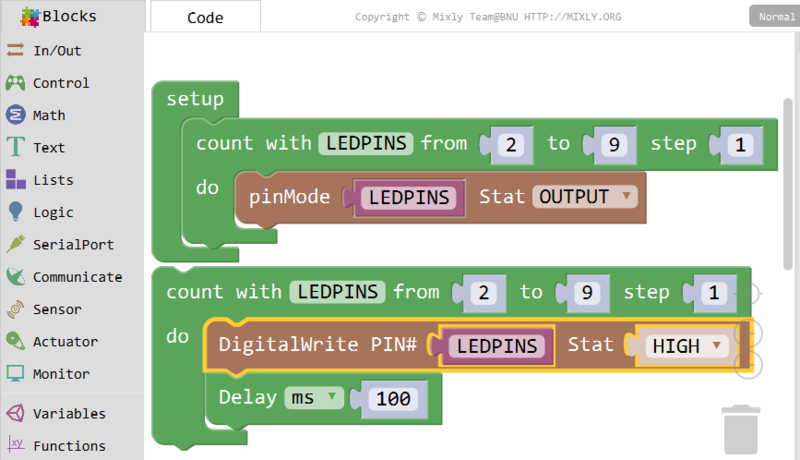 Set pin 2-9 as LEDPINS, and set them as output respectively. Pin number ascends by 1(step)each time. Light up the LEDS connected to pin 2-9 respectively, each lasting for 100ms. 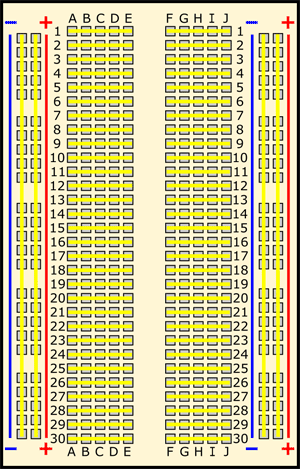 Then, dim them from pin 9-2 respectively, also each lasting for 100ms. Then dim them from pin 2-9 respectively for 100ms. Now, you should see eight LEDS brighten one by one from the LED connected to pin 2 to that to9, and then dim in turn from the LED at pin 9 to the one at pin 2. 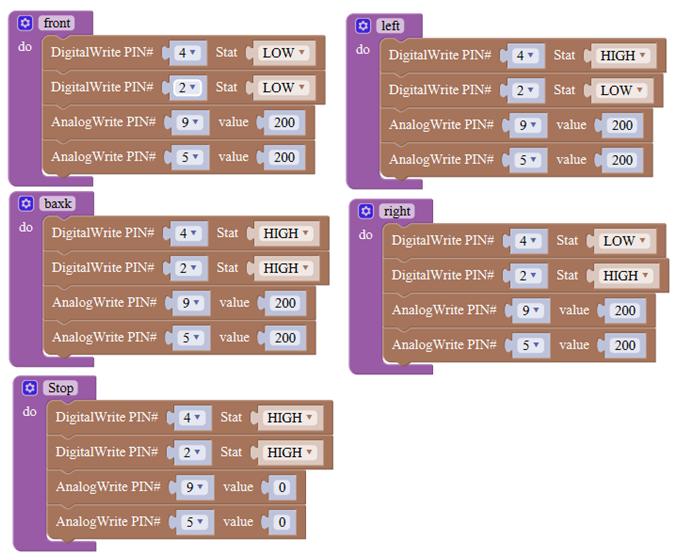 After that, the LEDS will light up fromthe LED at pin 9 to that at pin 2 and dim from the LED at pin 2 to that at pin 9. This whole process wilepeat until the circuit is power off. 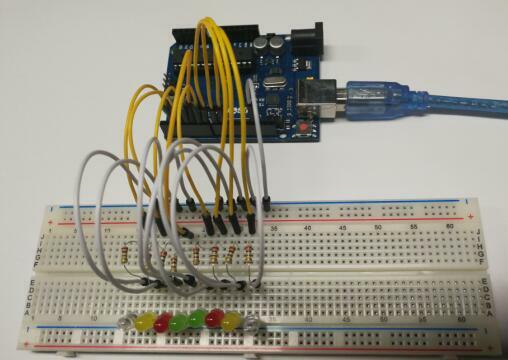 In this lesson, we will show how to turn on/off an LED by using an I/O port and a button. The “I/O port” refers to the INPUT and OUTPUT port. Here the INPUT port of the Osoyoo Uno board is used to read the output of an external device. Since the board itself has an LED (connected to Pin 13), so you can use this LED to do this experiment for convenience. Buttons are a common component used to control electronic devices. They are usually used as switches to connect or disconnect circuits. Although buttons come in a variety of sizes and shapes, the one used here is a 12mm medium-size button as shown in the following pictures. The little button that are used in this lesson have four connections, which can be a little confusing. Actually, there are only really two electrical connections, as inside the switch package pins B and C are connected together, as are A and D.
We have learnt how to make an LED blink in last lesson. So in this one we will add a button to controlthe LED on/off.First, we need to declare a variable to show the Buttons state. Drag out a Declare block in Variablescat. 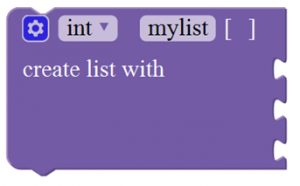 Name this variable to Buttonstate, and select the type to int. 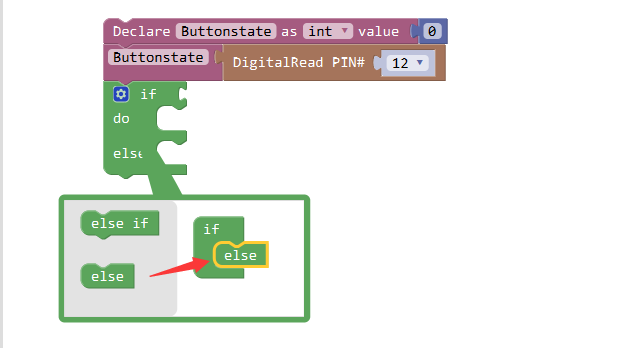 To assign 0 to Buttonstate initially, drag out the first block in Math, and add it behind the Buttonstate. The number in the slot can be changed, here we set it as 0. Click Variables again, and you can see there are the corresponding input and output blocks whichcan be used in later part. 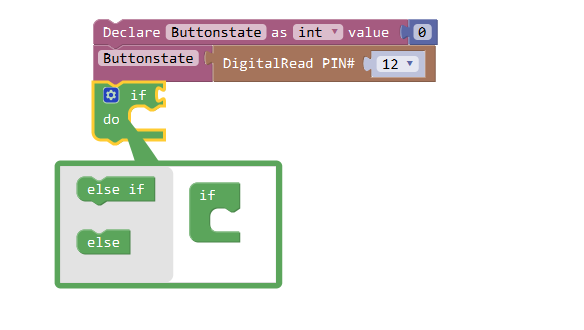 Drag out a digital Read block in the In/Out category and add it behind the buttonstate(input), toead the pin’s state value and assign it to buttonstate Here the button is connectedwere reading the state of pin 12, meaning using the variable buttonstate to represent the pins state. 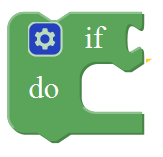 Add an if do block in Control under button State. If a value is true. thent block of thestatement. Otherwise. run the second block. 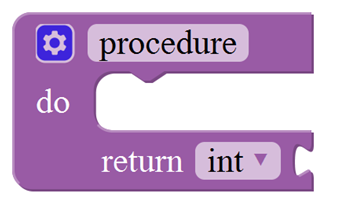 Next, we should add the condition of if, that is buttonstate==High- find the block in Logic. Drag out the Buttonstate(output) in Variables, and drop it to the first slot. Drag out the first block in In/Out, and placele second slot. Now, the if statement is completed. If the condition is met, set the LED at pin 13 to high, namely to light up the LED. Otherwise, set pin 13 to low level. The whole program is as above. You can check the code on the right bar. Click Save after all the programming is done. 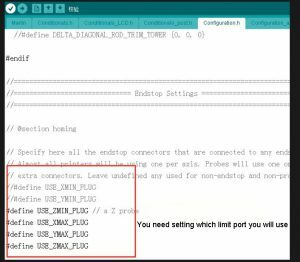 Select the board type and serial port before uploading. Now, press the button, and the LED on the OSOYOO Uno board will light up. When the switch is released, the LED goes out. Here’s a simpler way to program: Complete the connection according to the above operation, , set the corresponding board type and port type in the software, then upload the following code. A few seconds after the upload finishes,when the button switch is pressed, LED light up; when the switch is released, the LED goes out. 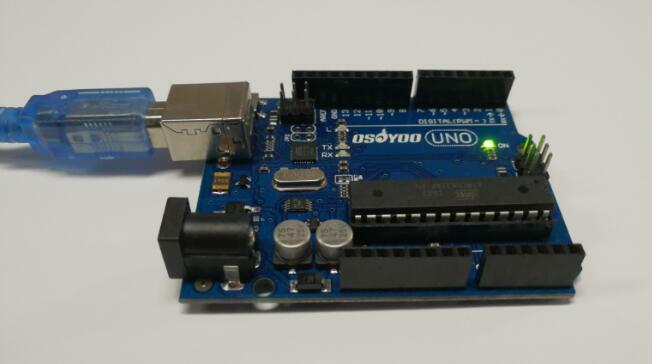 In this lesson, we will show how to control an LED by using the OSOYOO UNO board. We’ll use graphical programming in this tutorial. If you’re not familiar with it, you can learn about the previous tutorials first. The connections are not permanent, so it is easy to remove a component if you make a mistake, or just start over and do a new project. This makes breadboards great for beginners who are new to electronics. You can use breadboards to make all sorts of fun electronics projects. Remember that the inside of the breadboard is made up of sets of five metal clips. This means that each set of five holes forming a half-row (columns A–E or columns F–J) is electrically connected. 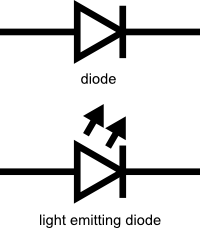 For example, that means hole A1 is electrically connected to holes B1, C1, D1, and E1. It is not connected to hole A2, because that hole is in a different row, with a separate set of metal clips. 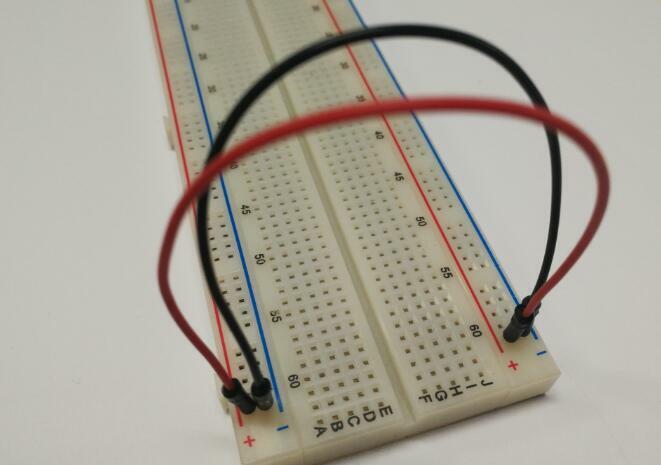 It is also not connected to holes F1, G1, H1, I1, or J1, because they are on the other “half” of the breadboard—the clips are not connected across the gap in the middle (to learn about the gap in the middle of the breadboard, see the Advanced section). Unlike all the main breadboard rows, which are connected in sets of five holes, the buses typically run the entire length of the breadboard (but there are some exceptions). This image shows which holes are electrically connected in a typical half-sized breadboard, highlighted in yellow lines. Buses on opposite sides of the breadboard are not connected to each other. Typically, to make power and ground available on both sides of the breadboard, you would connect the buses with jumper wires, like this. Make sure to connect positive to positive and negative to negative (see the section on buses if you need a reminder about which color is which).If you want to get more info about the breadboard,please check this link. In short, LEDs are like tiny lightbulbs. However, LEDs require a lot less power to light up by comparison. They’re also more energy efficient, so they don’t tend to get hot like conventional lightbulbs do (unless you’re really pumping power into them). This makes them ideal for mobile devices and other low-power applications. LEDs have a positive side (called the anode) and a negative side (called the cathode). The metal lead for the anode is longer than the lead for the cathode. The cathode side also usually has a flat edge on the plastic part of the LED.More info about the LED please check this link. You cannot directly connect an LED to a battery or voltage source. Firstly, because the LED has a positive and a negative lead and will not light if they are the wrong way around and secondly, an LED must be used with a resistor to limit or ‘choke’ the amount of current flowing through the LED – otherwise the LED could burn ou! Resistors are electronic components which have a specific, never-changing electrical resistance. 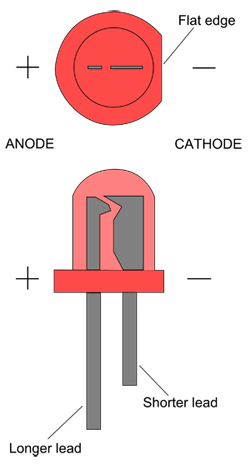 The resistor’s resistance limits the flow of electrons through a circuit. They are passive components, meaning they only consume power (and can’t generate it). Resistors are usually added to circuits where they complement active components like op-amps, microcontrollers, and other integrated circuits. Commonly resistors are used to limit current, divide voltages, and pull-up I/O lines.We are going to use this to control how much electricity flows through the LED and therefore how brightly it shines. The electrical resistance of a resistor is measured in ohms. The symbol for an ohm is the greek capital-omega: Ω. The (somewhat roundabout) definition of 1Ω is the resistance between two points where 1 volt (1V) of applied potential energy will push 1 ampere (1A) of current. In this lesson, we are going to use three different values of resistor, 200Ω, 1kΩ and 10kΩ. These resistors all look the same, except that they have different colored stripes on them. These stripes tell you the value of the resistor. The resistor color code works like this, for resistors like this with three colored stripes and then a gold stripe at one end. 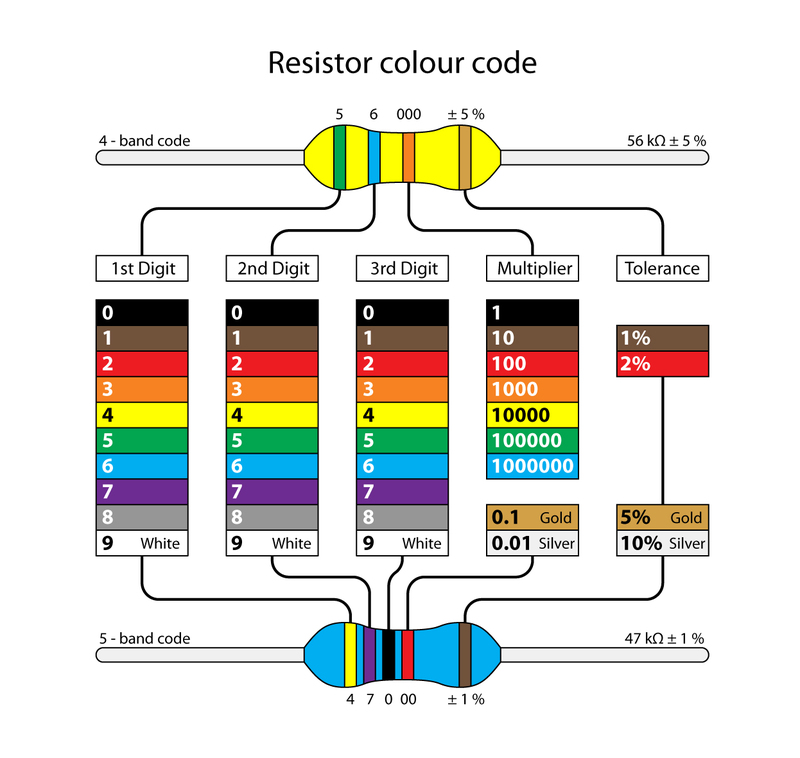 Unlike LEDs, resistors do not have a positive and negative lead. They can be connected either way around.More info about resistor please check this link. Connect up your stripboard as shown below, using the 200Ω resistor.We attach the LED to an output pin(D2 here) of the Osoyoo Uno. Connect the Arduino board to your computer using the USB cable. The green power LED (labelled PWR) should go on. This lesson is very similar to the last one, as long as the pin number is changed from 13 to 9. 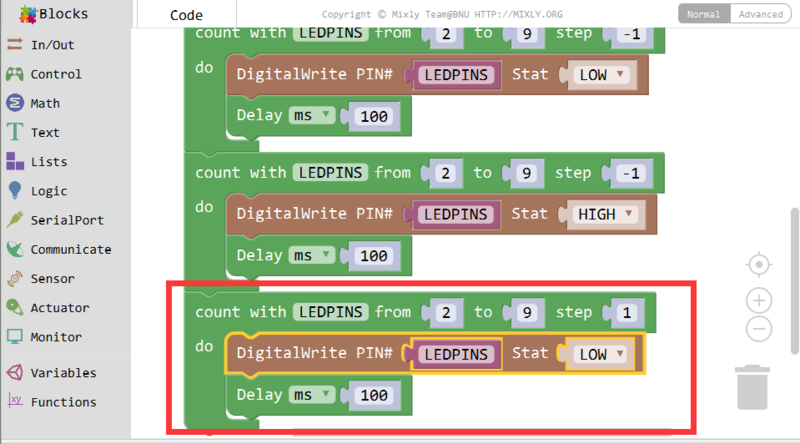 This program will give a high or low level to the LED connected pin 9 to turn it on and off. After programming, you can click the “<" button to check the corresponding code on the right bar. With the 200 Ω resistor in place, the LED is quite bright. A “Hello, World!” program is traditionally used to introduce novice programmers to a programming language. 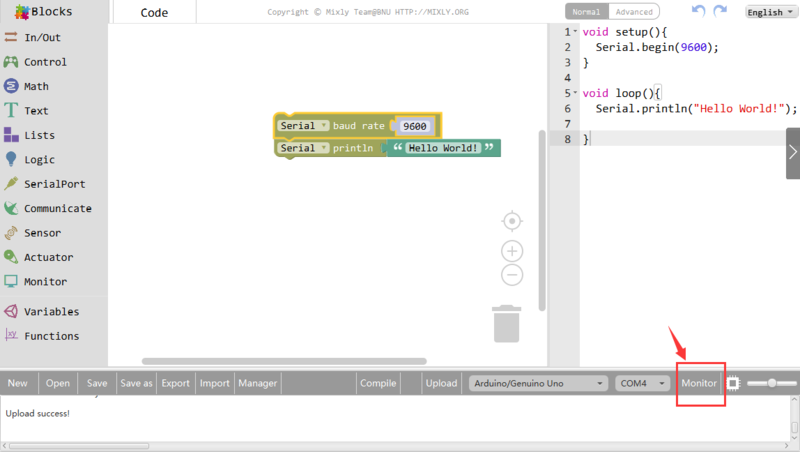 “Hello, world!” is also traditionally used in a sanity test to make sure that a computer language is correctly installed, and that the operator understands how to use it, so our Arduino graphical programming tutorial begins with Hello World. 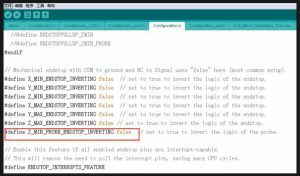 This lesson will basically get you up and running using the Arduino Graphical Programming software and uploading the code to the Arduino board. Once you’ve completed this step we can continue to the really exciting stuff, which is when we start writing our own code! Not much is needed for this lesson,make sure you’ve gone through Preparation lessons first! 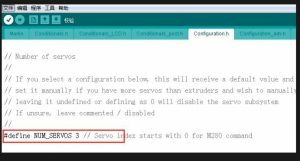 These lessons assume you have installed Arduino IDE software and drivers! Connect your Osoyoo UNO board to the Computer via a A to B USB cable,then double click the Mixly software icon on your desktop. 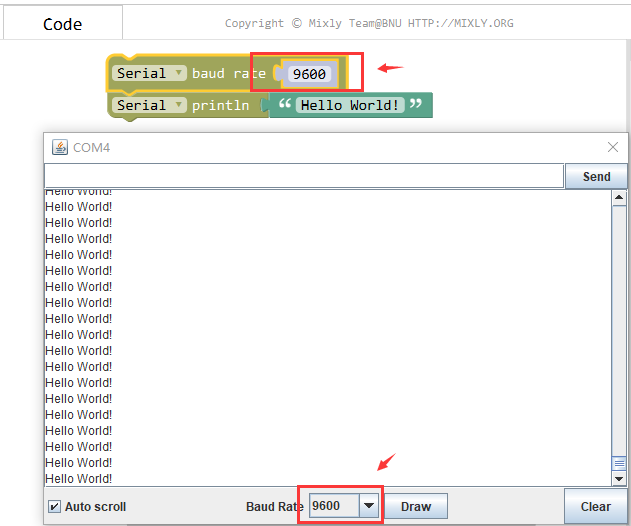 This program will print “Hello World!” on the serial port. After programming, you can click the “<" button to check the corresponding code on the right bar. If you have successfully completed all the operations and procedures. Congratulations! 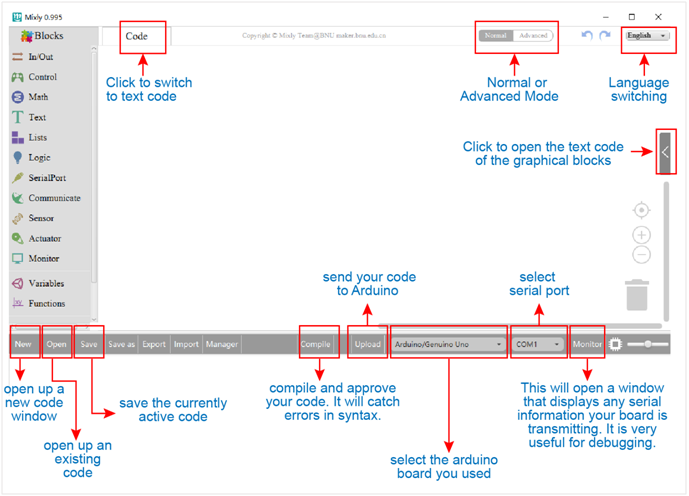 You have graphically programmed Arduino to start and run. 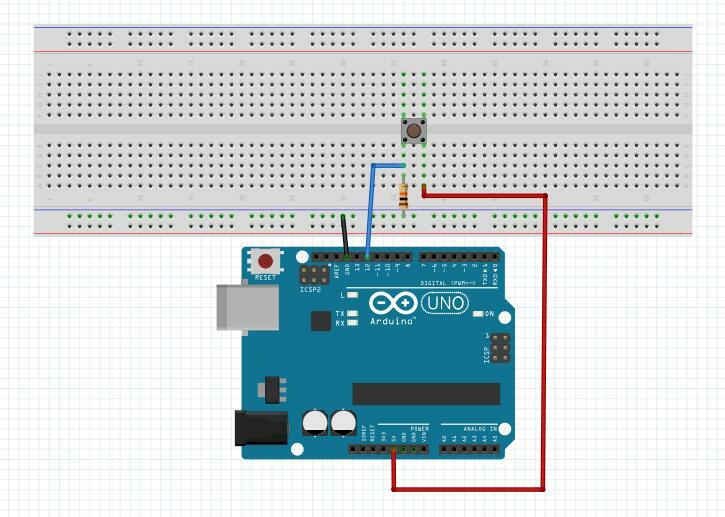 In this lesson, you will learn how program your Arduino to make the Arduino’s built-in LED blink. Not much is needed for this lesson,make sure you’ve gone through Preparation lessons and Hello World lesson first! 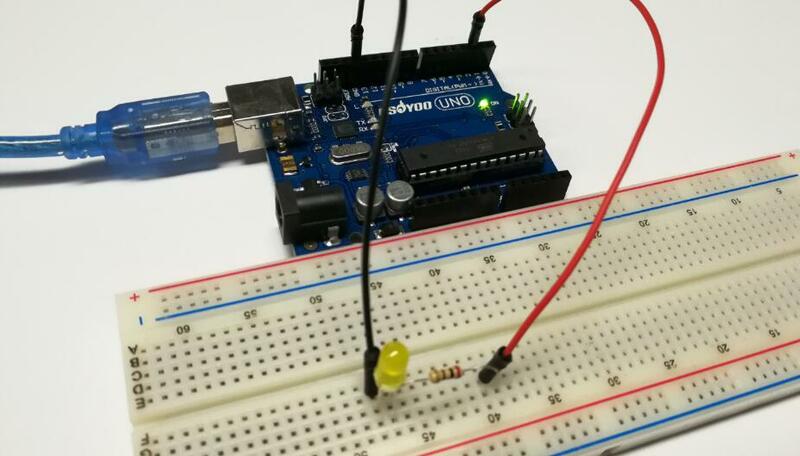 The Arduino has rows of connectors along both sides that are used to connect to electronic devices and plug-in ‘shields’ that allow the Arduino to do more.However, the Arduino also has a single LED that you can control from your sketches. 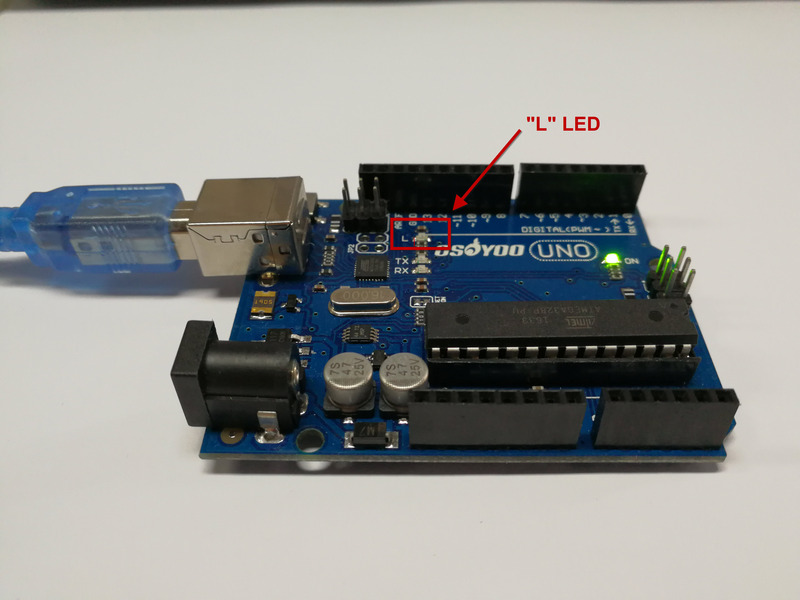 This LED is built onto the Arduino board and is often referred to as the ‘L’ LED as this is how it is labelled on the board. By default, this led is connected to the D13 pin of the UNO board. As default, set the delay value to 1000ms. 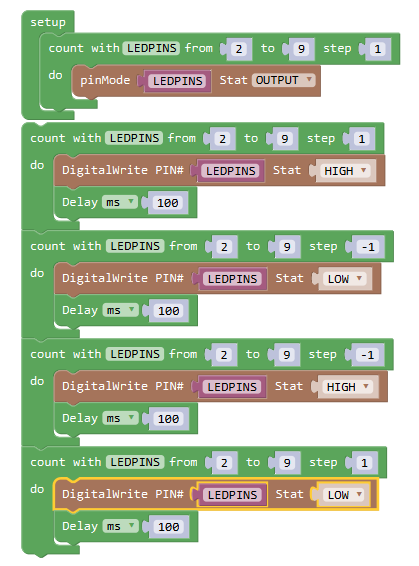 Drag out another Digitalwrite inIn/Out, then set the pin to 13 and Stat to LOW, drag another Delay block or just right-click it to duplicate one, and set the value to 1000ms. 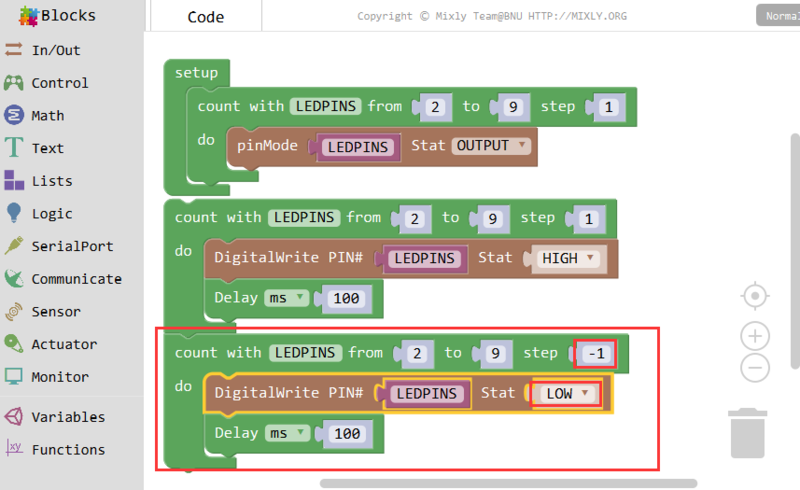 This program will give a high or low level to the LED connected pin 9 to turn it on and off, namelyinking. After programming, you can click the “<" button to check the corresponding code on the right bar. You are now going to make your LED blink faster.As you might have guessed, the key to this lies in changing the parameter in the blank for the ‘Delay’ block. Here, we see two very common modules – Digital Output and Delay. Digital output is one of the control modes of the Arduino for the original parts. It transmits digital signals to the output circuit – 0 and 1. 0 means that the output level is low and the circuit will not be connected; 1 means that the output level is high and the circuit is connected. In the above program, the digital output of pin 13 is set high, and the onboard LED lamp connected with pin 13 will be lit. After a one-second delay (in the process of delay, the hardware remains at the start of the delay until the end of the set time), the digital output changes. For low, the lamp will go out, and then remain out for 1 second. As you can see, the on-board LED lights re-turn on after 1 second of extinguishing, and then turn off after 1 second, so on and so on. 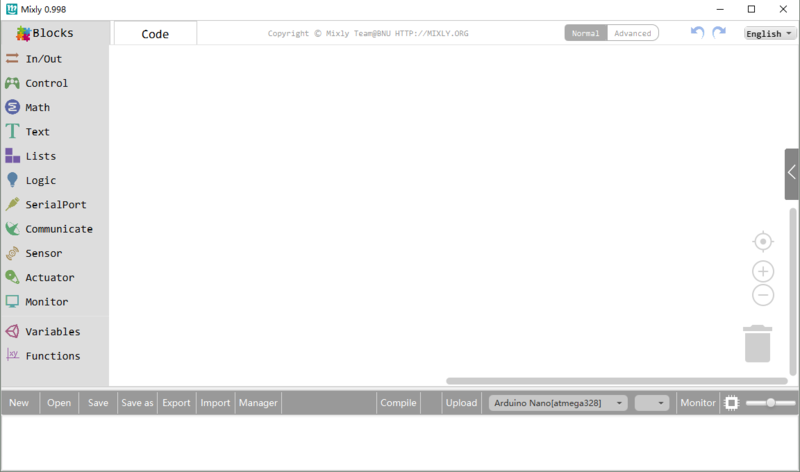 This is because Mixly and Aduino default that the program is repeated. Without other interventions, the procedure will be repeated all the time. And the lamp is always on for one second and off for one second, and the repetition will not change. This is because the modules of these programs are executed in the order in which they are arranged. 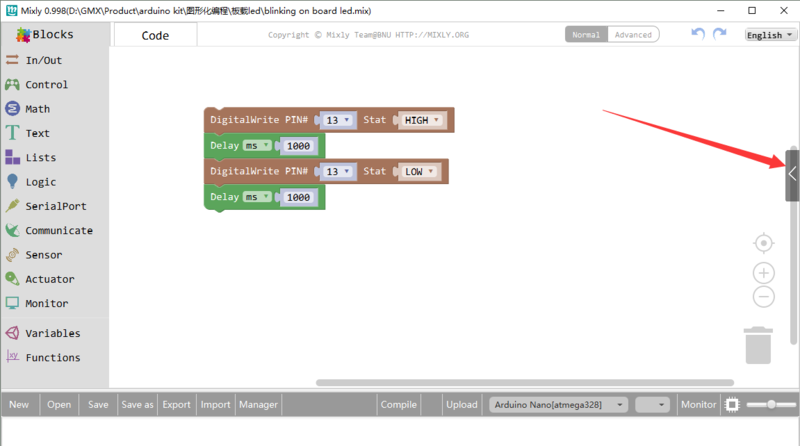 The main board will not execute the first module first, then skip the delayed module, go directly to execute the third module, or execute in any order different from the program. 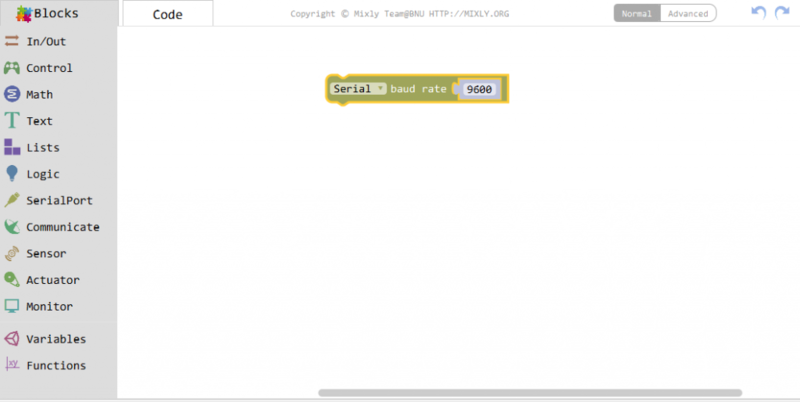 Mixly is a free open-source graphical Arduino programming software, based on Google’s Blockly graphical programming framework, and developed by Mixly Team@ BNU. It is a free open-source graphical programming tool for creative electronic development; a complete support ecosystem for creative e-education; a stage for maker educators to realize their dreams. 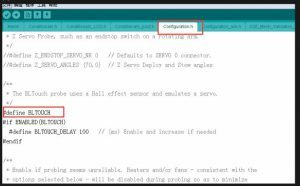 Although there is an Ardublock graphical programming software launched by Arduino official, Ardublock is not perfect enough, and many common functions cannot be realized. The figure below shows the functional comparison between Ardublock and Mixly. 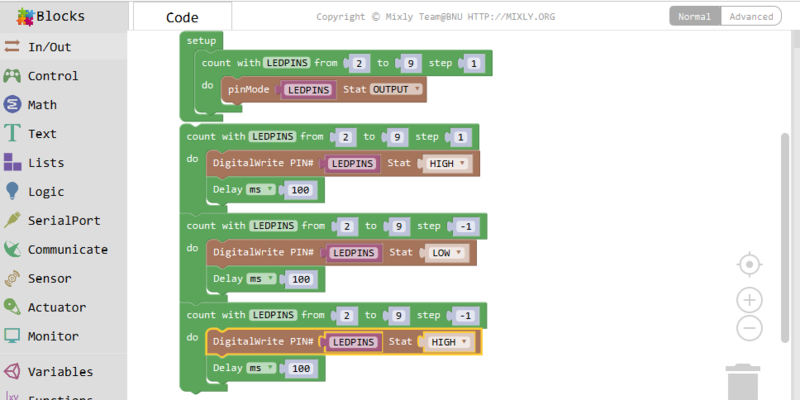 It can be said that Mixly is the most versatile and smoothest Arduino graphical programming software, which can replace the Arduino programming tool IDE. It is also the design philosophy for Mixly. More continuous content has been added to the design of the software to protect the user’s learning outcomes. To be specific, it includes the introduction of variable types, the consistency of text programming as much as possible in the design of the module, and the support of both graphical and text programming. It also allows users directly use Mixly’s graphical programming function to generate common modules (such as LED digital display, buzzer broadcast, etc. Users are able to make this part of the module only using Mixly). Both of the two kinds of modules mentioned above can be imported into the Mixly system through the “Import” function, thereby realizing the user’s own value in the popularity of Mixly software. From the above design concept, it can be seen that Mixly is suitable for primary and secondary school students to cultivate programming thinking. It is also available for quick programming when creating a work. Of course, it is good for those lovely friends who don’t want to learn text programming, but want to do some small works with intelligent control. 2 Write digital value to a specific Port. 3 Returns a digital value of a specific Port. 4 Write analog value between 2 and 255 to a specific Port. 5 Returns value between 0 and 1023 of a specific Port. 6 External Interrupts function, with three trigger interrupt modes RISING, FALLING, CHANGE. 7 Detachs interrupt to a specific Port. 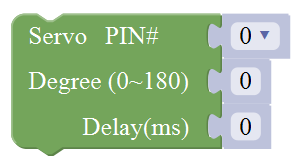 10 Read a pulse (either HIGH or LOW) on a pin within a time set in timeout. 11 Set the ShiftOut data pin, clock pin. Output the data needed from the bitOrder MSBFIRST or LSBFIRST (Most Significant Bit First, or, Least Significant Bit First). 12 This is the function interface under Normal mode. If select Advanced mode, the functions will be more. 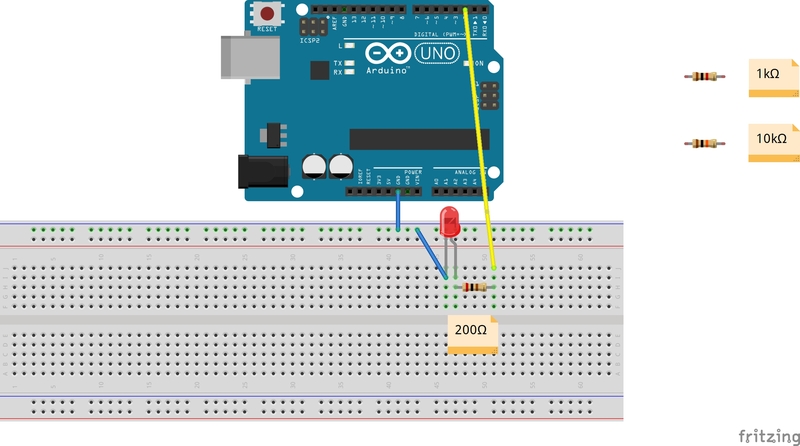 Connect your Arduino Uno board, then follow the steps below to light the Pin13 led on Arduino UNO. 2 End the program, means the program will stop running when use this block. 4 if_do function (first evaluate a value be true or false, if a value is true, then do some statement. 6 Equal to for statement. 7 A while loop statement. 8 break function, used to exit from the containing loop. 9 millis() function, returns the system running time since the program started. (The unit can be ms (milliseconds) or μs（microsecond)). 10 Timer interrupt function, that is, set a trigger interrupt for the amount of time (in milliseconds) specified as parameter. 8 Return a random integer between the two specified limits, inclusive. 9 Constrain a number to be between the specified limits (inclusive). 10 Map a number from the first interval to the second interval. 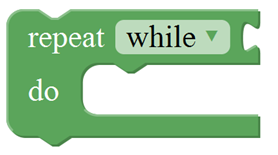 1 character string: a letter, word, or line of text. 3 Creates a piece of text by joining together two piece of text. 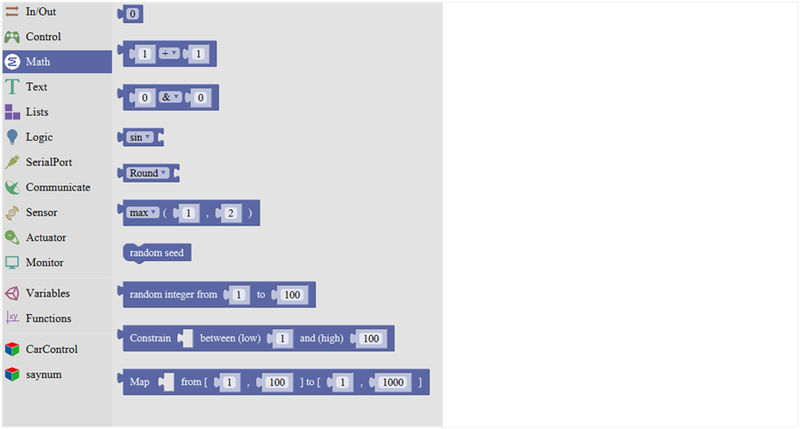 4 Converts a string into an integer or an float. 6 Returns the ASCII code corresponding to a char. 7 Converts a number into a string. 10 The first string equals or startsWith or endsWith the second string, returns 1, otherwise returns 0. 11 Returns a decimal value of the first string subtracts the second string. 4 Returns the value of at the specified position in a list. 5 Sets the value of at the specified position in a list. 3 Returns true if the input is false. Returns false if the input is true. 4 Returns either true or false. 6 If the first number is true, the second number is returned, otherwise the third number. 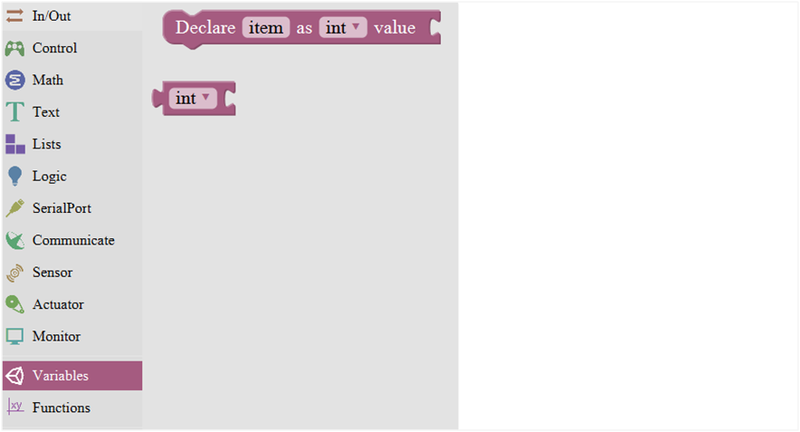 1 Declare and initialize a variable. You need an Arduino Uno and one LED module. Connect the control pin of LED module to Pin 3 of Uno board (or other pins with “~”，that is, those pins can output PWM signal). LED will gradually light then gradually dim, repeatedly. 2 Write the specified number, text or other value. 3 Print the specified number, text or other value on monitor. 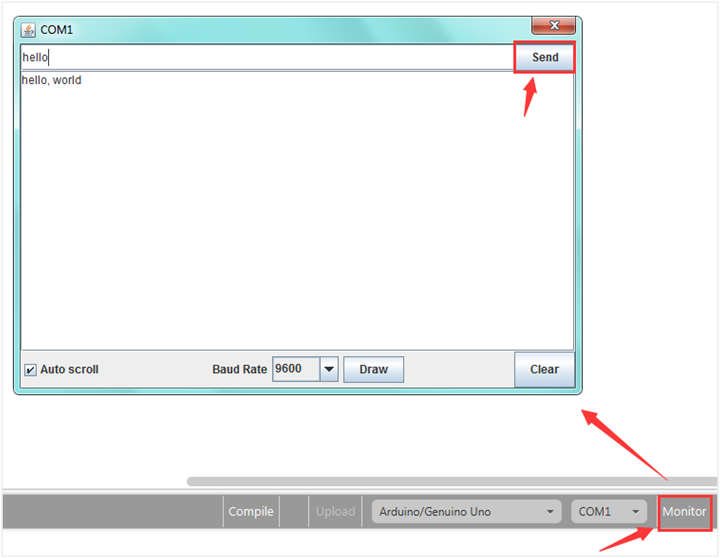 4 Print the specified number, text or other value on newline of monitor. 5 Print the specified number in hexademical format on newline of monitor. 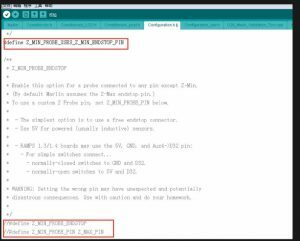 6 If the serial port is available, it returns true, otherwise returns false. 8 A string read from serial port to a string variable, pause until read the specified character. 12 Event function trigger by serial port data, that is, serial port is ready to call this function. Done uploading the code, open the Arduino monitor, then enter a “hello” on the top bar, and click Send, it will print out “hello,world”. 1 Do something when receiving infrared signals. 2 Sends infrared signals of the specified types. 4 Print the Infrared signal in RAW types when receiving it. 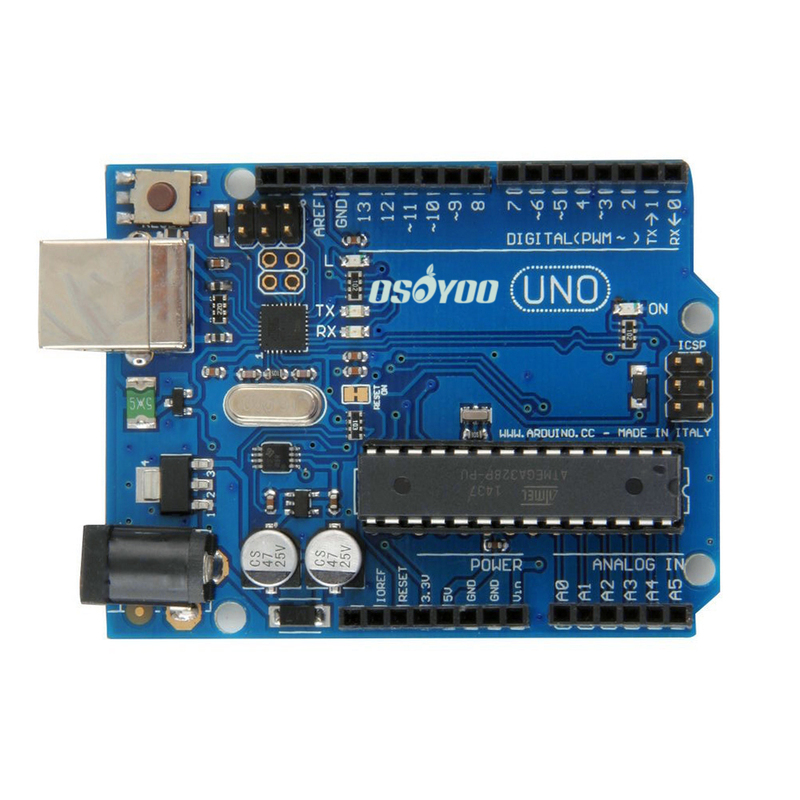 You need an Arduino Uno board, an IR receiver module and an IR remote control. Connect the signal pin of IR receiver to Digital pin 3 of Uno board, then upload the code and open the monitor. If send a signal to an IR receiver module using an IR remote control, you should see the monitor show the corresponding signal data. 1 Set the Trig and Echo pin of ultrasonic sensor. 2 Set the control pin of DHT11 temperature and humidity sensor. 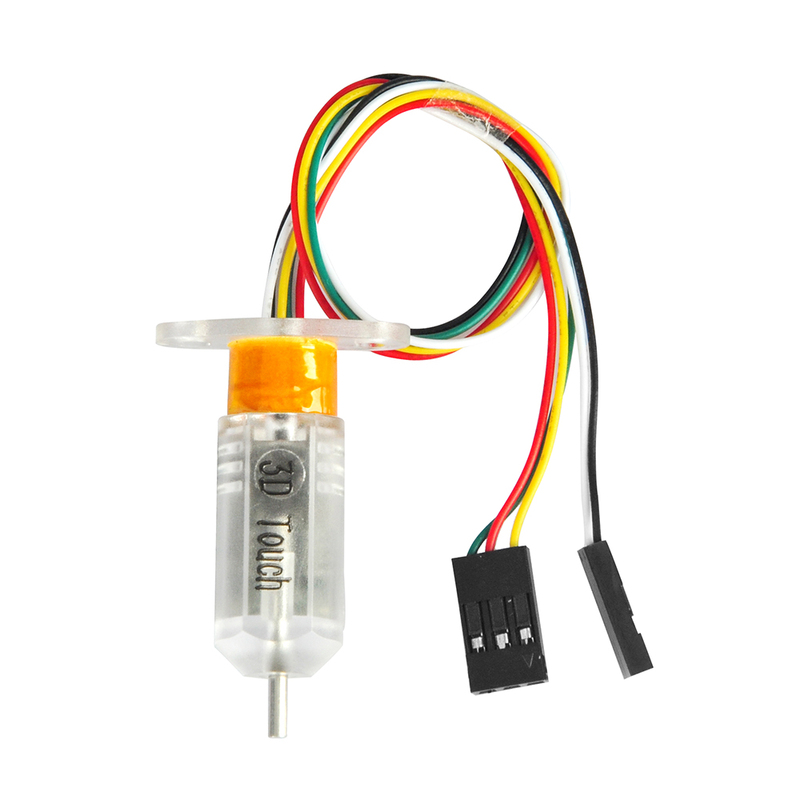 3 Set the control pin of DHT11 temperature and humidity sensor. 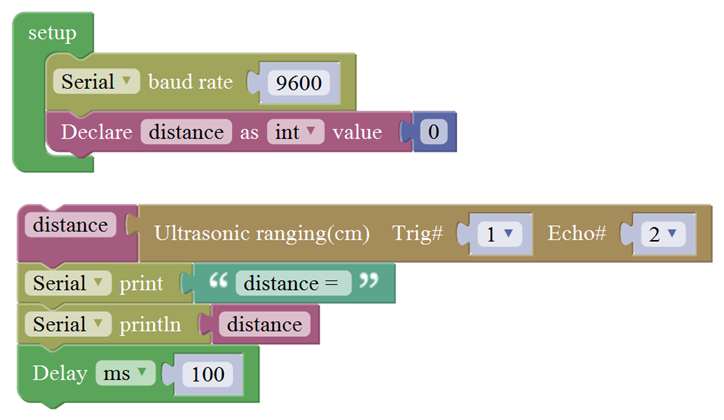 Connect the Trig pin of ultrasonic sensor to Digital 1 of Uno, Echo pin to D2, then upload the code and open the monitor, you should see the distance value, updating once per 100ms. 2 Returns that degree with the last servo move. 3 Set the pin and specified frequency for buzzer to play sound. 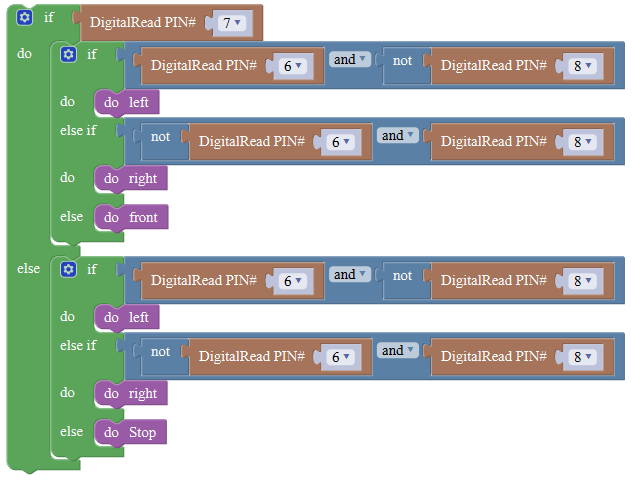 Connect the signal end of servo to Digital 0 of Uno, then upload the code below, servo will rotate 90 degrees. Note: Delay 100ms is the time required for servo to move. 2 Input the value on LCD line 1 and line 2 from left to right. 5 Set the control pin and the number of RGB light. 9 Four-digit display, displaying abcd. Separately connect the SDA (A4) and SCL (A5) of Arduino Uno to SDA and SCL pins of IIC LCD1602, then set the address of your LCD1602 screen, the LCD address we used here is 0x27. Then upload the code, LCD screen has two lines, you should see the line 1 print HELLO, and line 2 print 123456789. 1 Creates a function with no output. 2 Creates a function with an output. 3 If a value is true, then return a second value. Below is an example code for line tracking car. We use three tracking modules (left to D6, middle to D7, right to D8). of course you need a tracking car to test it. First edit the forward, backward, turn left, turn right and stop into functions block. Then compile and upload the code below. Programming is the process that makes it possible to create computer software, applications and websites. Currently, computers are unable to think for themselves; they require users to give them sets of ordered instructions to know what to do. This is referred to as ‘code’. Most of the resources you use on the computer and internet are made with code. Programming is a core element of the Digital Technologies curriculum because it helps students develop essential skills such as problem-solving, logic and critical thinking. 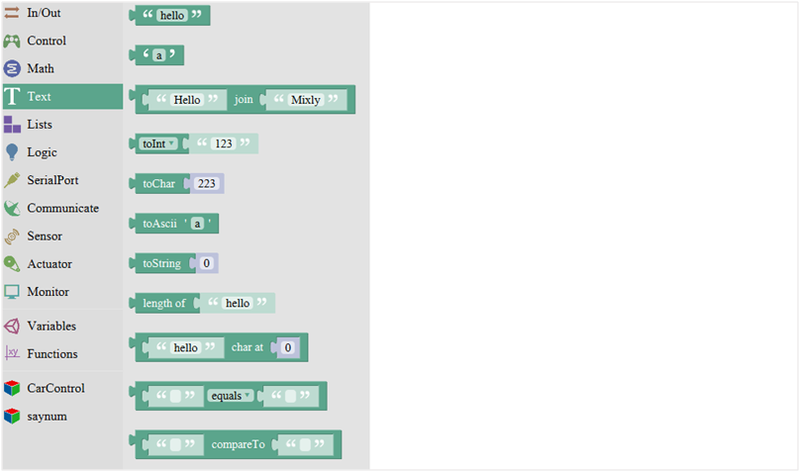 Graphical programming, also known as visual programming or block-based programming, is the coding language prescribed in the STEAM Curriculum: Digital Technologies for primary schools. This type of language allows users to create programs by manipulating elements graphically rather than writing them in text format. A programming language or environment where a program is represented and manipulated graphically rather than as text. 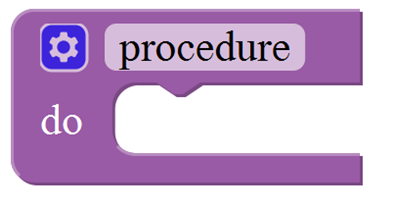 A common visual metaphor represents statements and control structures as graphic blocks that can be composed to form programs, allowing programming without having to deal with textual syntax. 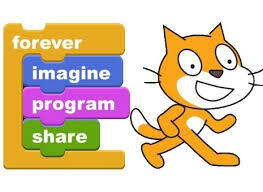 Examples of visual programming languages include: Alice, GameMaker, Kodu, Lego Mindstorms, MIT App Inventor, Scratch (Build Your Own Blocks and Snap). If you are a visual learner, you may wonder how visual and the auditory information are translated into a language of the computers. The graphical approach in programming will allow the computer to process the spatial representations in two or more dimensions. This graphical programming is calledas Visual Programming Language in which it defines pictures by means of textbased language. It is frequently used in engineering system designs totranslate the information of events and vibrations during the testing of automotive engines into a visual readout. Graphical programming tools are used to employ the block diagrams, virtual instrumentsand connectors. It can also be used to monitor and control the automated process. In addition, it can analyze some mathe matical functions like use insignal processing. It will allow also the users to have access in databases ofinformation on its terrain, buildings, and demographics or use in cellularsystem design. Comparision of textual and graphical programming has a good overview of those different ways to write code. With Textual Programming Language you have Low level of abstraction: programming is done at the level of implementation. Inaccurate description of the problem-domain. With Graphical Programming Language you typically work at Higher level of abstraction: programming done on a conceptual level. 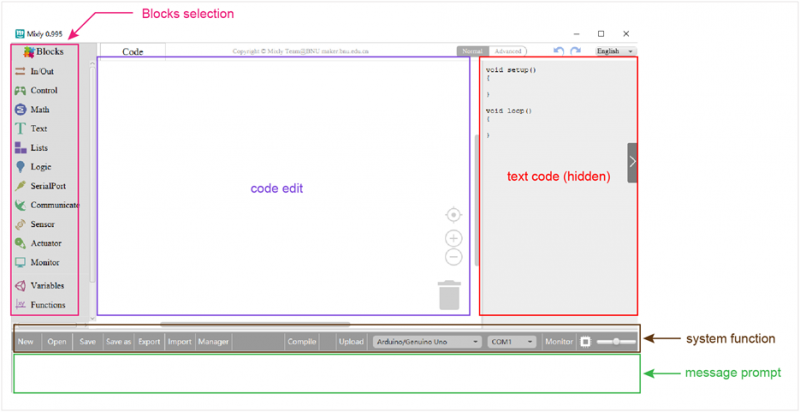 There are various reasons why Visual programming is sometimes easier way to write code than traditional writing text source code, but it does not suit to all tasks. Will Visual Programming Ever Go Mainstream? That’s hard to say. Critics have mentioned various problems with the paradigm, not the least of which is that programming is hard. Sometimes programmers find the approach useful at least in learning. 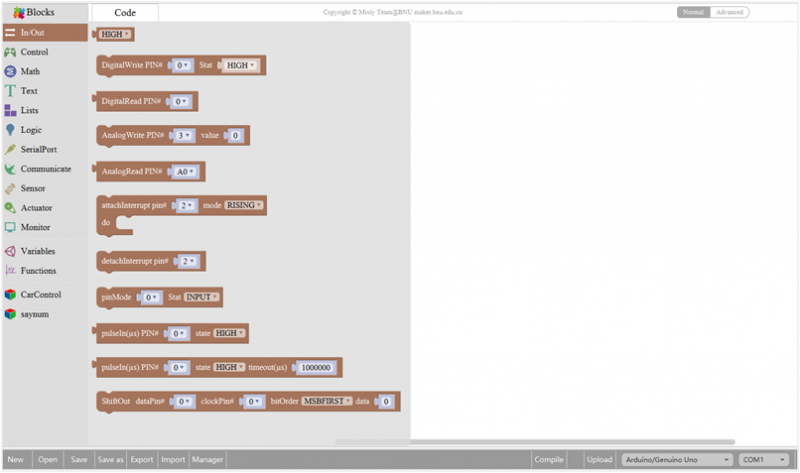 What about Arduino and visual programming? There seems to be some push for that. There are several projects that try to do that. With this graphical programming environment, most of the children and beginners can now have the chance to learn this programming. It is one way on how taughtchildren use the program Arduino and robotics easy and fast. An Arduino programis awesome when it comes to electronics of education platform. 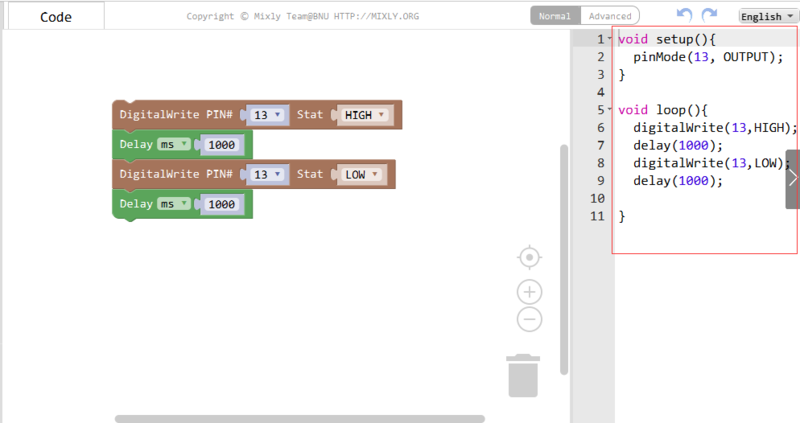 Scratch was the first graphical programming software I came into contact with, but I think mixly is more compatible for the Arduino study. Marlin settings (take Marlin V1.1.X as example) 3pin cable connects to D11, 2pin cable connects to Zmin. (1)Set leveling pin, which can’t use the same pin as endstop. Generally, on Delta machines, we use Zmin pin for BLtouch, Zmax pin for endstop .On l3 machines, we use Zmin pin as BLtouch, Zmax pin for endstop or don’t use endstop . (5)Set the offset value of the leveling switch probe from the nozzle in the XYZ direction . 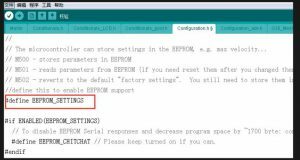 1) Remove“//”before the “#define EEPROM__SETTINGS’, start M500 to store the data. 2) Open Marlin__main.cpp,find’case28://G28:Home all axies, one at a time gcode__G28 (false);’add this sentence:’set __bed __leveling __enabled (true);’It’s important to add this sentence, otherwise the leveling data can’t be stored.